At ABAN Yaletown Dental, we offer the best materials for crown and bridges. Our crowns and bridges match the shape and color of your natural teeth bringing back the look and function of teeth in a very natural way. Crowns , sometimes called caps, are covering the whole tooth to protect the tooth structure and restore the damaged part of tooth. Crowns and bridges can be matched the color and shape of your teeth in a way that it is almost impossible to differentiate them with your natural tooth. The process consists of preparing the tooth followed by taking impression or mould. The impression will be sent to the lab and it takes about a week until it gets ready to be placed on the tooth.A temporary crown will be placed during this one week period. The crowns and bridges are stronger than natural teeth providing a long lasting treatment. When natural teeth are needed to be removed due to trauma, infection or loss of tooth structure, they need to be replaced to bring the look and chewing power back. Failure to replace missing teeth can result in movement of adjacent teeth as well as transferring bite forces to the opposite side of mouth. A dental bridge consists of 3 or more crowns connected to each other where the crown replacing missing tooth is supported by crowns on neighbouring teeth. Gold / Metal Crowns: Gold and metal crowns are the oldest version of crowns. While they are still used, they are not very popular due to their look. Metal Crown covered by Porcelain: The crown has a metal core with ceramic coverage to give it a better look compare to full metal crown however there would be still a back shadow of metal behind porcelain that can be effect on the look of crown make it a bit grey looking. Full Porcelain Crown: This crown does not have any metal which make it looks good however does not have the strength and is subject to fracture upon the forces of bite. Full Zirconia Crown: This is a full white crown with no metal. A very dense porcelain will be cut by computer to fabricate full zirconia crown. It is strong and looks good. Crystal Zirconia Crown: This is a Zirconia crown fabricated by computer covered by porcelain make it one the best crowns in the market in the sense of look and strength. At ABAN Yaletown Dental, we almost exclusively using the Full and Crystal Zirconia crowns with perfect quality and end results. Same day or one day crown is the one that is made in the dental office on the same day. Even though in recent years there was a huge marketing for this type of crown as there would be no need for second appointment to place the crown, one day crown should be avoided. Same day crown is manufactured by small milling machines in the dental office which can not offer the same strength and look as Zirconia crown. They do not offer the natural looking results and there are many incidents of crown fractures. One may compare these to a coffee machine used to make coffee in you kitchen rather than the one used in a coffee shop. 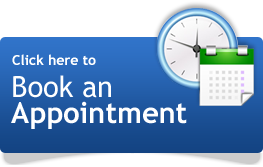 At ABAN Yaletown Dental we assure you that we do not place any same day crown.